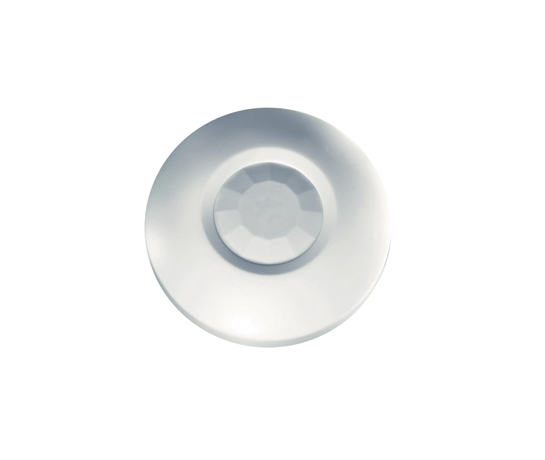 Duo-240 is a very small 360° ceiling-mount, dual-technology digital detector. It is designed to prevent false alarms in harsh environment conditions that may exist in residential or commercial applications. A passive infrared (PIR) sensor and a complementary active microwave sensor are combined in a single unit, providing outstanding capacity to distinguish between the motion of a human body and any other disturbance.